Are you ready for a great year? Excitement is building as we get ready to start another school year in just a few short hours. Please read these last-minute reminders from Principal Sweeney to be sure your child's year gets off to a great start! This Wednesday all Fallon students will participate in our annual "One Tribe Wednesday " celebration. It is a day for us to bond as a school and have a unifying experience. Students will spend the entire day with their Period 1 teacher and participate in a variety of activities. Students can look forward to class bonding at a grade level rally, learning more about how to combat bullying and be an upstander, strengthening their growth mindset, getting their minder binder organized for the year, and much more! We value the community we have at Fallon and we are excited to start the year off with this awesome day! Parents, we need YOU to help lead and run EXCITING enrichment programs for Fallon Students! If you are interested in volunteering as a coach in one of the 6 programs below, or would love to start a new program that is not listed below, please email fmspfcenrichment@gmail.com. All enrichment programs are parent-led, so the more parents who volunteer, the more students who can participate. 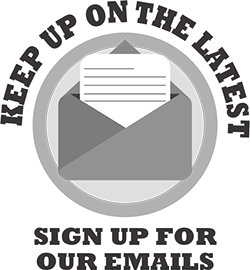 For student signups, look out for information in future issues of the Fallon Flash e- newsletter! Visit the PFC Enrichment webpage for more information.